Pharmaceutical giant Pfizer and Greenstone LLC have been named defendants in a Lipitor diabetes lawsuit brought by Rosemary and Drew Reynolds. The Florida couple’s case was filed via short form complaint to be consolidated in the Lipitor Products Liability Litigation underway in Charleston, South Carolina. The Lipitor MDL 2502 has been assigned to Judge Richard M. Gergel for coordinated pretrial and discovery proceedings. 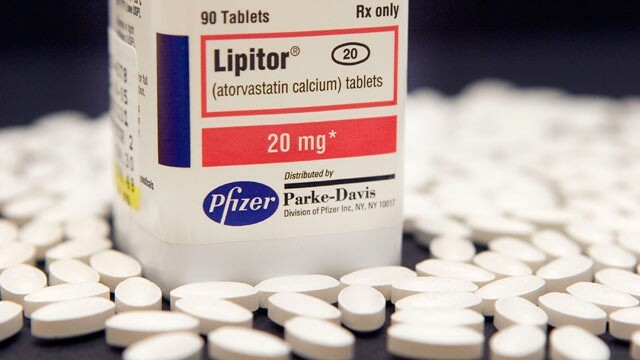 Judge Gergel is presently overseeing more than 1,000 claims that involve similar accusations that Lipitor (Atorvastatin Calcium), when used as directed, causes type 2 diabetes and related complications. According to the short form complaint, plaintiff Rosemary Reynolds took Lipitor from 2002 through 2012 to help lower her triglyceride and cholesterol levels. At the age of 60, Reynolds was diagnosed with Type 2 diabetes by her physicians in Florida, where she currently resides. Formerly known as adult-onset diabetes, this condition is diagnosed when the body fails to produce or properly utilize insulin, leaving patients at risk for dangerously high blood sugar levels and a slew of related health issues. Since skyrocketing to the best -selling prescription medication in 2011, Lipitor has since been the subject of several notable studies, as a growing number of women on the drug began developing high blood sugar levels. Research reported in the medical journal Archives of Internal Medicine found that post-menopausal patients who took statins such as Lipitor had almost a 50 percent greater risk for developing Type 2 diabetes. In 2012, health regulators at the FDA expanded their advice on statin risks by alerting consumers and the medical community that cholesterol-lowering medications like Lipitor had been associated with an increased risk for Type 2 diabetes, as well as memory loss, cognitive impairment, muscle damage and liver injury. Unfortunately, the product labeling for Lipitor never warned users about diabetes risk until the FDA mandated a label revision in 2012. Plaintiffs who took the statin prior to this date argue that Pfizer promoted its drug as safe without properly warning about diabetes risks. Reynolds and her spouse are suing on several counts, including: negligence, negligent misrepresentation, negligent design, strict products liability, breach of express and implied warranties, and loss of consortium. She claims that her Lipitor-induced diabetes has caused her to suffer physically, emotionally and economically, and is seeking compensation for monetary damages and loss of enjoyment of life. Coordinated litigation for Lipitor diabetes claims continues to progress slowly in Charleston, South Carolina. According to a status conference report issued on September 19, both plaintiffs and defense have continued to discuss discovery and scheduling matters. Pfizer requested that the Plaintiff Steering Committee (PSC) and lead counsel for plaintiffs in each Discovery Pool case provide case-specific reports and conclude all outstanding discovery matters. Both sides are also working to schedule depositions of Pfizer sales representatives (both current and former).Pfizer is prepared to offer five witnesses for depositions by October 10, with others available at a later date. However, Lipitor lawyers for the plaintiffs maintain that to date, Pfizer has not produced custodial files of these 14 employees and set deposition dates prior to the October 24 discovery deadline. By October 1, 2015, both parties are to submit a scheduling order with a proposed trial date for the first case. Federal multidistrict litigation is often established when large numbers of claims allege similar injuries against a common defendant. Cases are joined in a single court to help avoid inconsistent pre-trial rulings and facilitate shared discovery. Lawsuits will later be remanded back to their original court for resolution, unless Pfizer decides to initiate a settlement program.